When it comes to content your company doesn’t need to go it alone. Not only is it possible to outsource content, for many companies it may be the best solution. Here is how to determine if outsourcing content is right for your company, and what your company needs to consider when looking for an outsource partner. How can your company deliver the best value to your customers? A successful content strategy needs to be deliberate and needs to have someone in charge. Do you have in-house talent who can put together a content strategy for your company and manage the execution of the strategy? Does your company have in-house talent that can consistently create good content? Does your company have in-house talent that has the time to consistently create good talent? Does your company have in-house talent that can distribute your company’s content?  Does your company have in-house talent that can track and analyze your company’s content strategy? Be honest. Cobbling together staff or passing content like a hot potato from one person to another is not going to be effective. If content is not an area where your company excels, or if content could be carried out more efficiently and effectively if the service was outsourced – start looking for an outsource partner. If you do decide that outsourcing is right for your company, know that you are not alone. 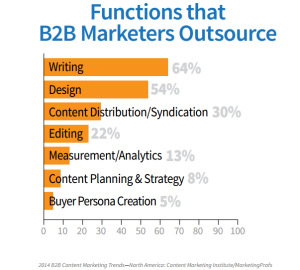 Forty-four percent of B2B marketers report that they outsource content creation. Diving down further, 72 percent of large B2B companies (1,000 employees or more) outsource content creation and 34 percent of small B2B companies (10 to 99 employees) outsource content creation. Looking specifically at the manufacturing industry – 55 percent of manufacturing marketers report that they outsource content creation. As shown in Figure 1 the content functions that B2B marketers outsource vary from writing to design to distribution to creating a buyer persona. When it comes to outsourcing content functions it doesn’t need to be the kitchen sink. Interested in entering into a long-term relationship. This post was originally published on DC Velocity.